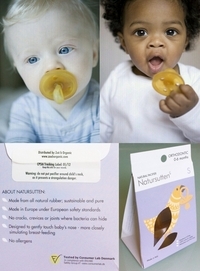 This Natursutten Pacifier is BPA free and recommended for babies up to 6 months old. This premium quality pacifier from Natursutten is made from Natural Rubber, which means it is BPA Free (no Bisphenol-A), Phthalates PVC or articial coloring. The natural rubber is also softer than silicone and will not leave marks on your baby's face. The design incorporates a larger shield that touches your baby's nose, which more closely simulates the actual breast-feeding experience for your infant. The patented One-Piece Design eliminates gaps where bacteria can hide and makes the pacifier much easier to clean. 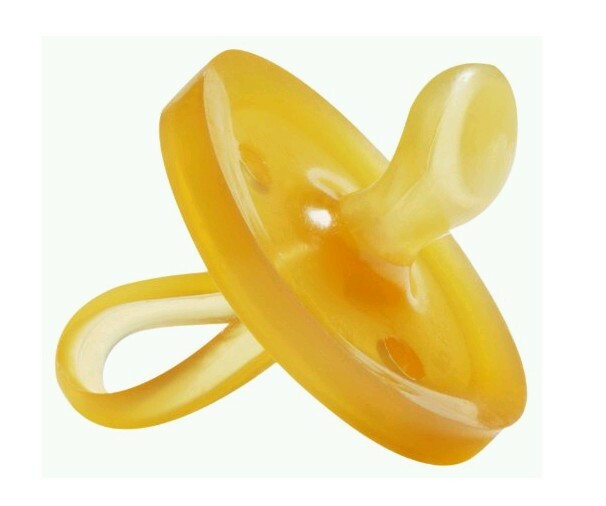 Parents would be happy to know that this pacifier complies with safety standards EN1400 and CPSIA.